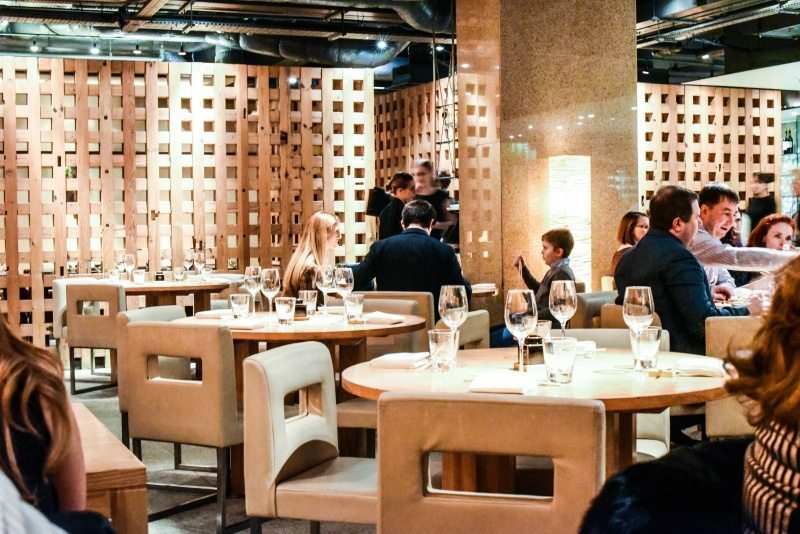 Since pan-Asian is mine & Michael’s favourite cuisine and, though nothing beats Roka (confirmed once more on this occasion), we thought we’d have a change of scenery and visit its older sister Zuma to ‘celebrate’ (if you can truly do such a thing) Valentine’s Day. 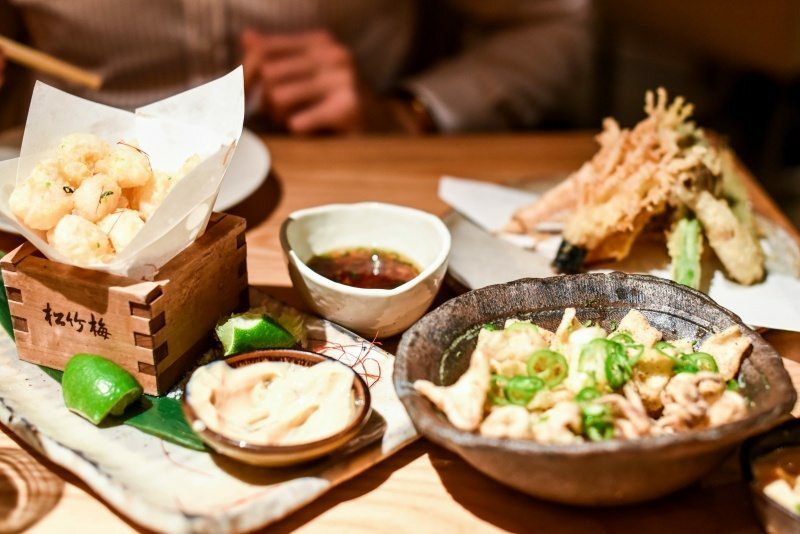 Roka and Zuma are very similar in that they both offer a modern take on the traditional Japanese izakaya style of informal eating & drinking, hence the open central robata grill and relaxed but sophisticated dining space featured in both. ^ Despite the photo it was relatively busy. And regardless of the fact that we’d just enjoyed a bottle of champagne at The Landmark and it was a Sunday, we were celebrating, right? 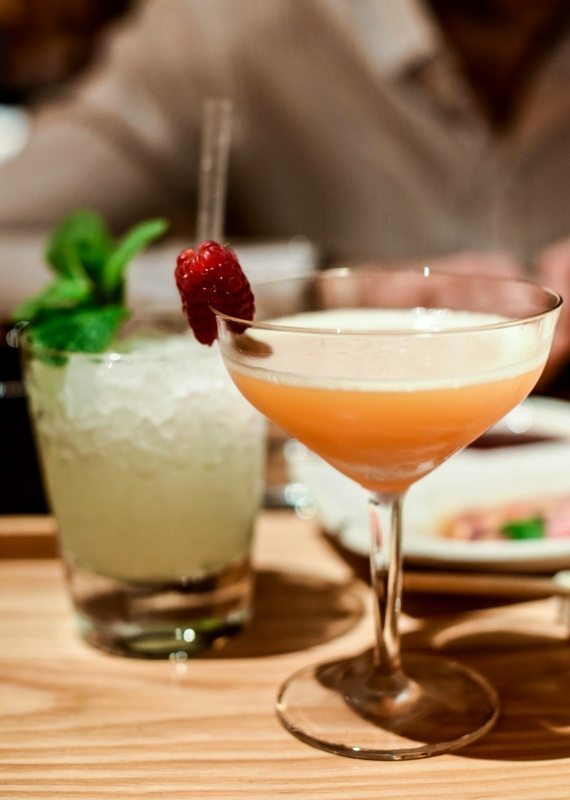 Cocktails were in order. Michael had a classic Mojito (£12.00) whilst I went for a Berry Flowers (£12.50). Tasty enough though they took a good 15 minutes to come and I was initially brought the wrong drink. 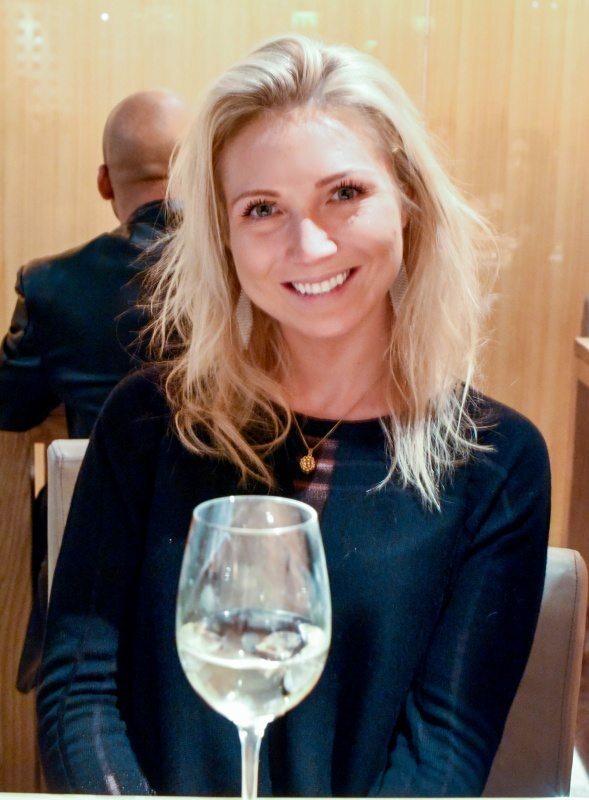 We ordered food in our usual ‘rounds’, which I always think is the best way at restaurants with sharing plates and a “food served when it’s ready” policy so as to ensure that a) it doesn’t all arrive at once and b) you can enjoy certain dishes together. The ‘sushi round’ is always first. 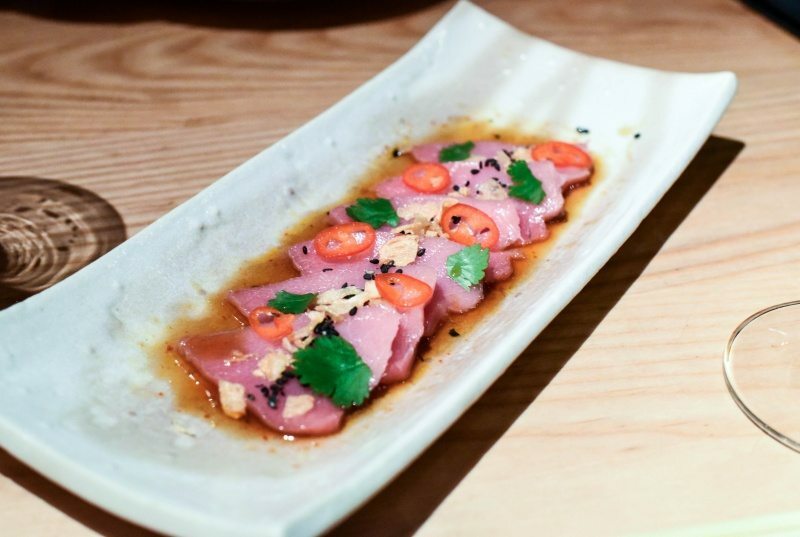 We had the chu toro – thinly sliced semi fatty tuna, chilli, coriander and sesame (£21.80), as well as the California maki (£8.80) and spicy tuna maki (£9.80) to start us off. 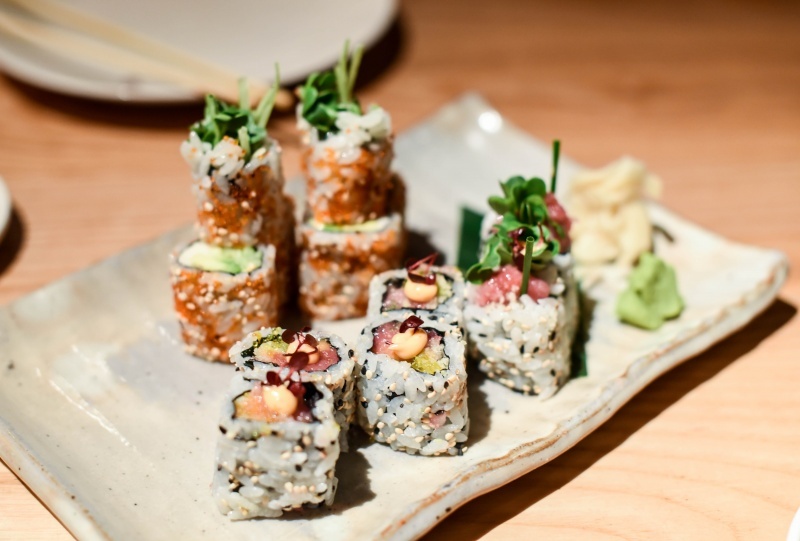 The sushi rolls were utterly immense and, yes, better than Roka’s. The chu toro, on the other hand, was uneventful in comparison and despite being light, fresh & fishy, it wasn’t worth the hefty price tag. With a fresh bottle of wine (‘Touraine, Sauvignon Blanc, 2014’ (£36.00)) on ice we tucked into our ‘meat & veg round’. Beef short ribs with picked apple salad and spicy cashew nut (£19.60) were the shining star of our meal. The beef was so tender it completely melted apart in the mouth and the marinade was sensationally moreish. Also a great portion. Give me more of these over the chu toro any & every day. 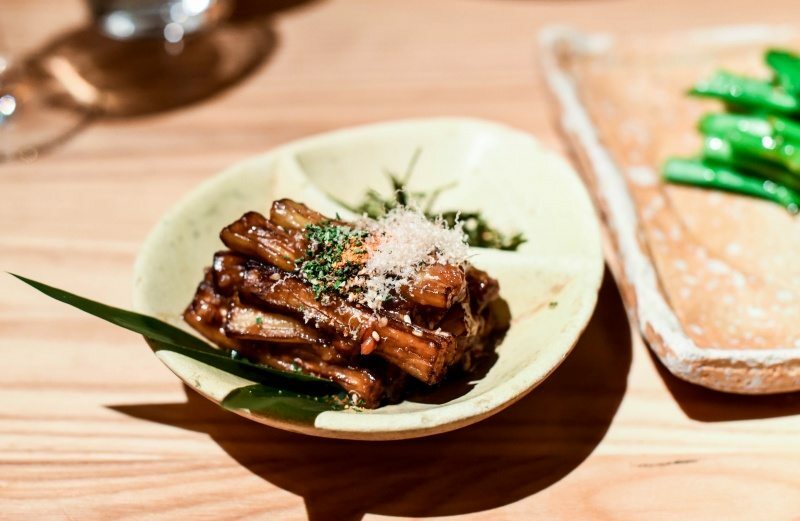 As for the ‘veg’, the warm eggplant with sweet miso and bonito flakes (£8.90) was a massive letdown in comparison to the same dish at Roka, which makes it into my top 5 favourite dishes. 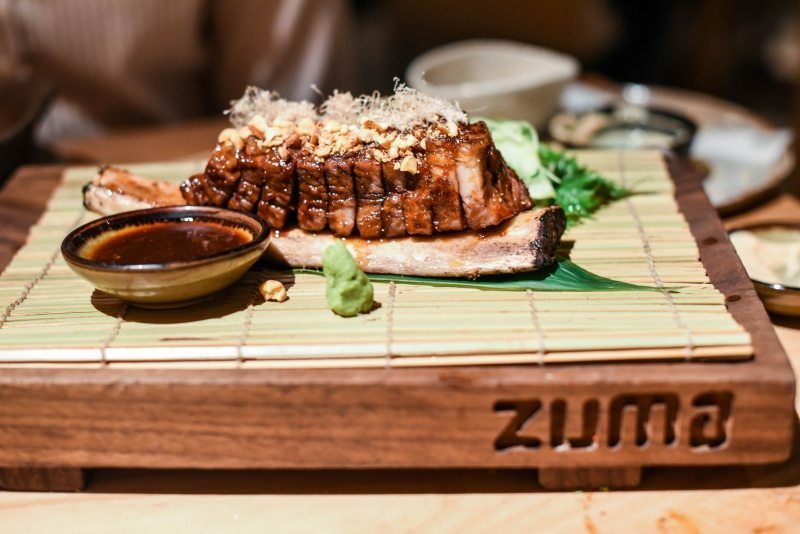 Zuma’s version is much smaller with a darker & deeper sauce which I don’t think complements the fish as well and the vegetable was soggy rather than fleshy. 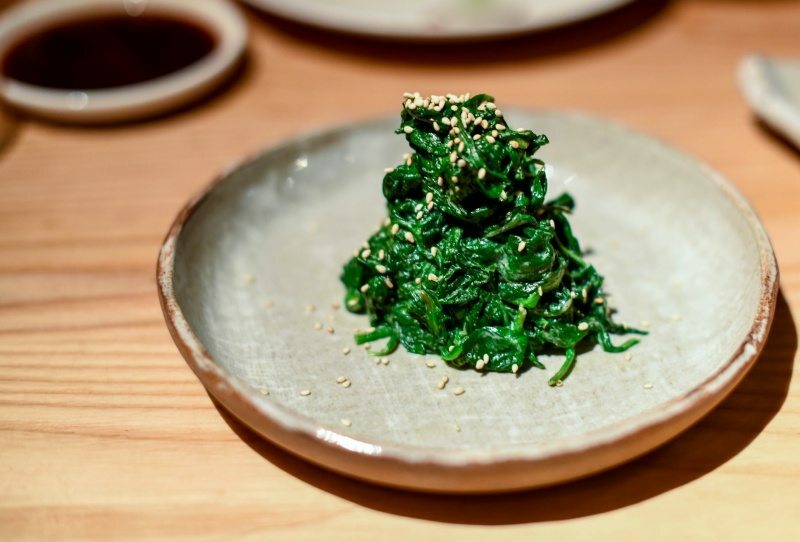 But then the steamed spinach with sesame sauce (£5.20) is served better at Zuma than at Roka, in my opinion, with the spinach cooked, cooled and then combined with what tastes like a jar of peanut butter. It’s seriously amazing. Next arrived the mistakenly timed ‘fried’ round. A few dishes had been delayed resulting in an unfavourable deep-fry feast that would have been much nicer to enjoy separately than together, but what can you do? 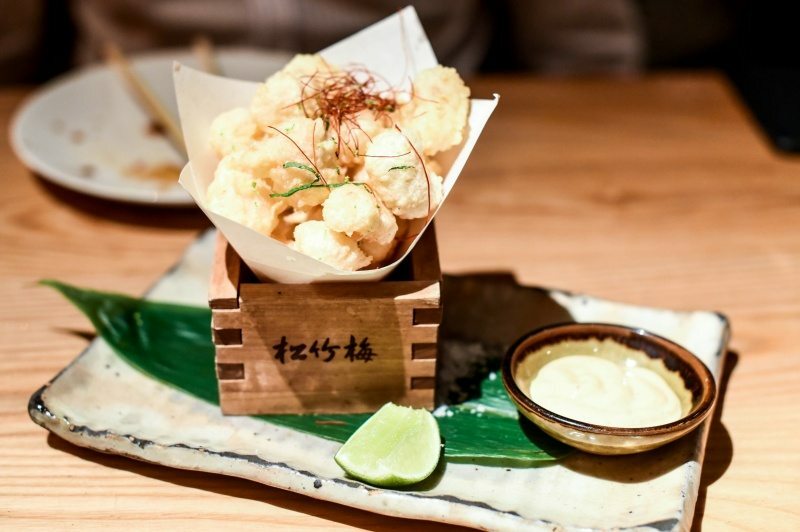 That factor aside, the rock shrimp tempura with chilli tofu (£15.60) was the best of the lot; hot, grease-free popcorn pockets encasing chewy, fresh shrimp dunked in a moreish chilli mayo is something that will always bring a smile to my face. It was very good, though Sushisamba’s is still marginally better. 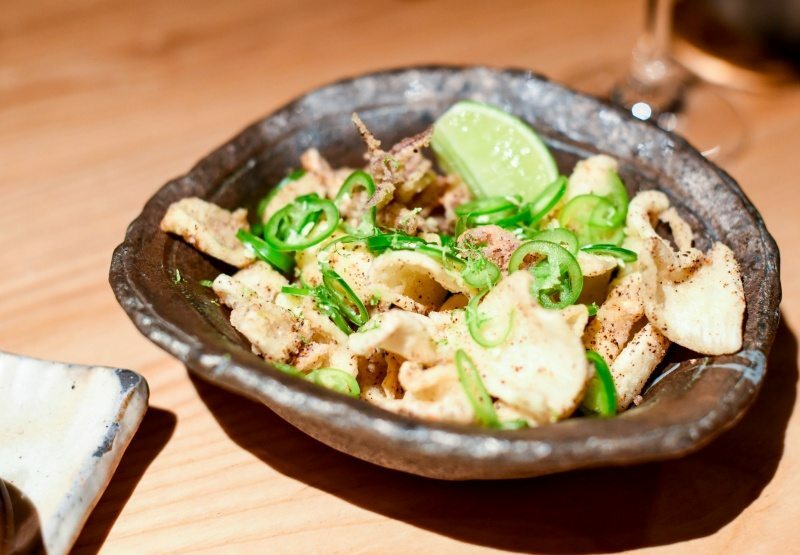 The crispy fried squid with green chilli and lime (£8.80) is one that I would miss. The squid was on the chewy side and its batter overly crisp & tasteless. 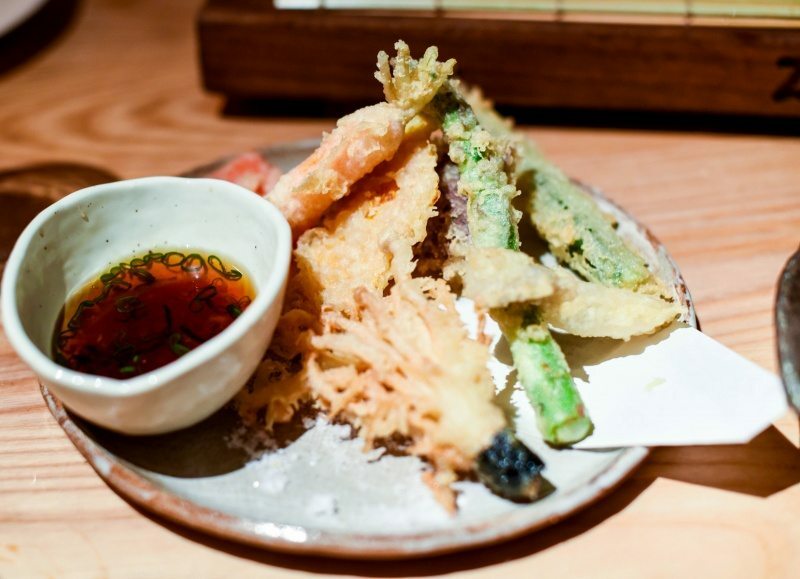 The same goes for the assorted vegetable tempura (£7.80), but for the opposite reason; we both found the batter to be very greasy and the vegetables included an odd selection. But all was not lost, as then came the ‘fish & veg’ round. 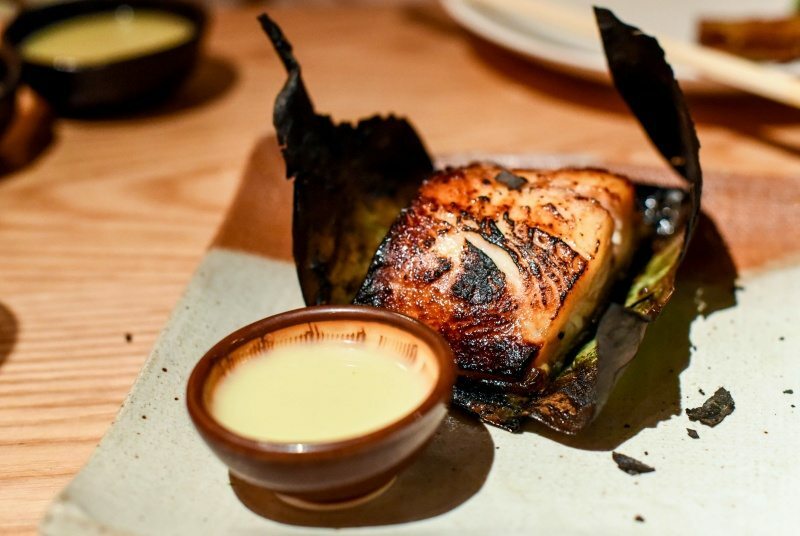 The dish all my dreams are made of: marinated black cod wrapped in hoba leaf (£30.90). 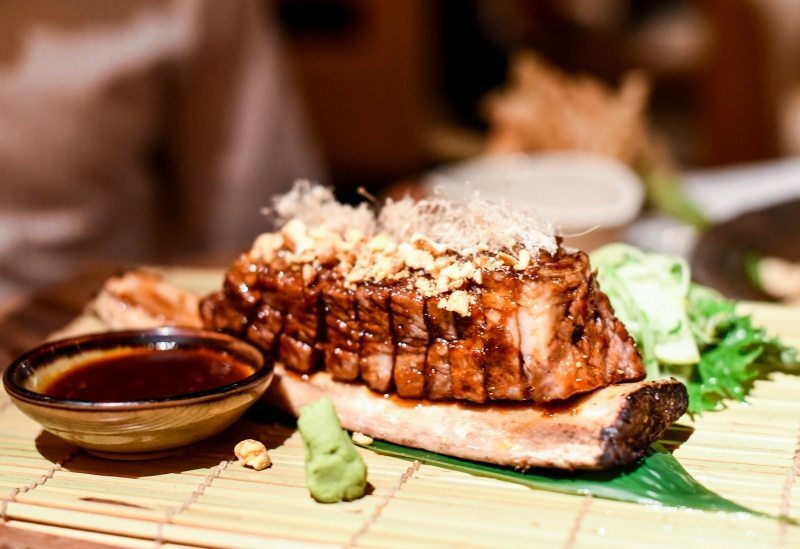 A hunk of meaty, slimy, flakey fish with a delicate char and the most delicious miso sauce = me SO happy. This paired with the tenderstem broccoli with moromi miso (£6.50) and steamed rice with black sesame seeds (£3.50) went down an absolute treat. 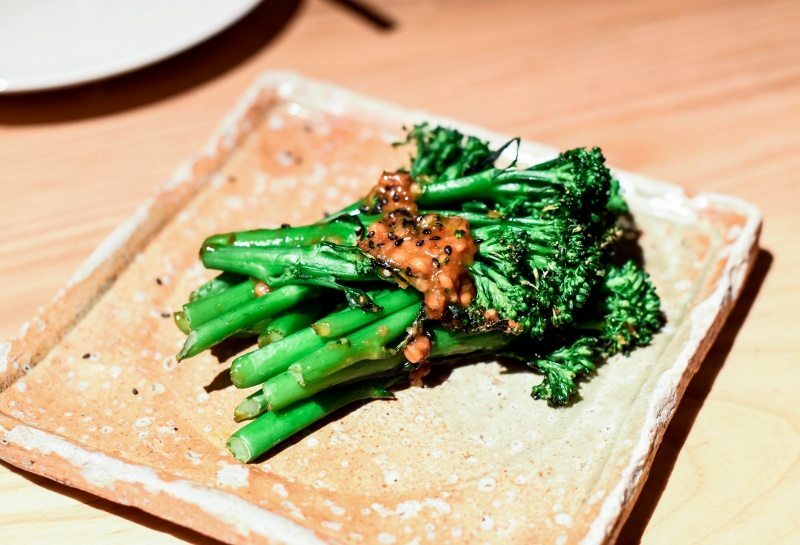 The broccoli was generous and perfectly cooked, with a smoky char that paired very well with the slightly spicy sauce. The rice was sticky & fluffy, as it should be. 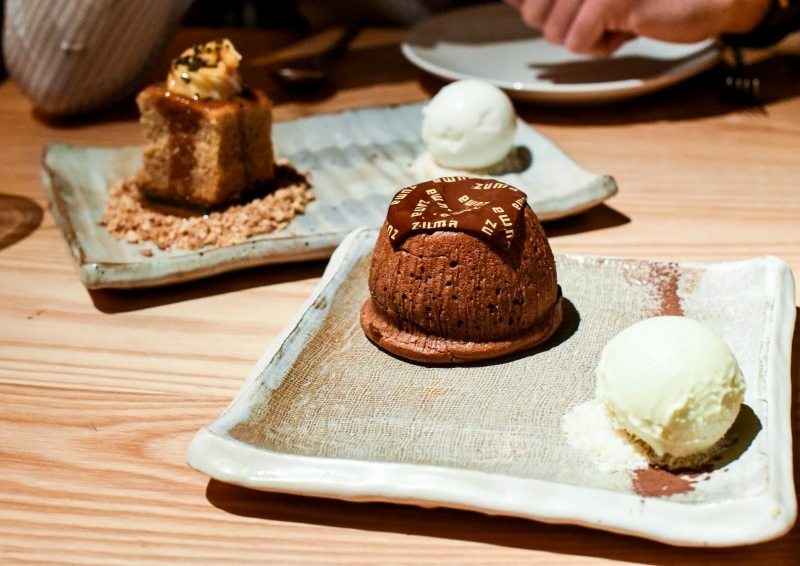 On to the final round of ‘sweet’, we shared the green tea & banana cake with coconut ice-cream and peanut toffee sauce (£9.20), and off-menu chocolate fondant (£11.50). The green tea & banana cake was light and super tasty with clean flavours. 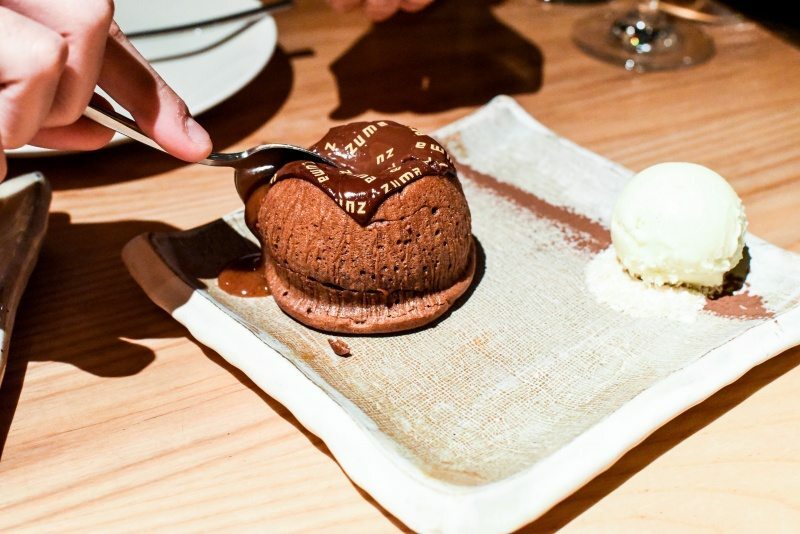 And was well contrasted by the chocolate fondant, which was beautifully executed. And with which we all know you can never go wrong. 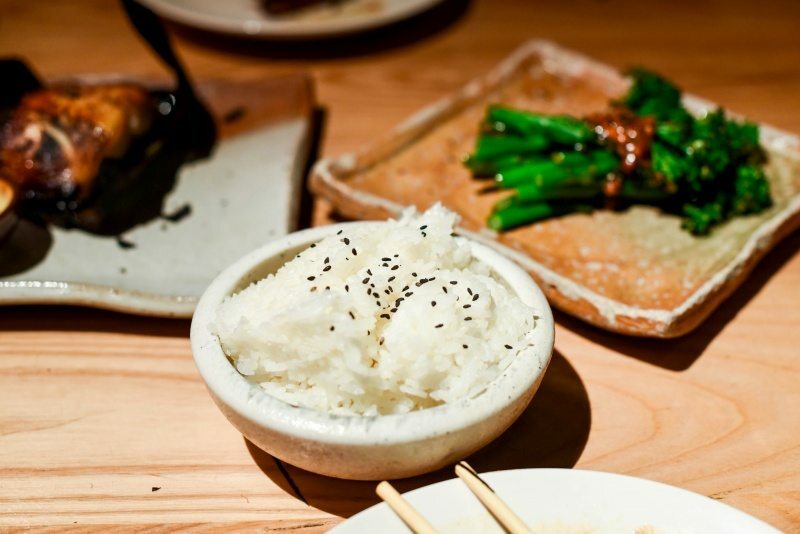 Overall, we had a great meal at Zuma with a few stand-out dishes, many very good dishes and a few sub-par dishes, however, service was a little slow with different waiters popping up throughout our meal, and I don’t find the ambience as intimate and fun as at its little (and cheaper, may I add) sister. It’s a much bigger restaurant and I think that transpires in all of the restaurant’s various elements. 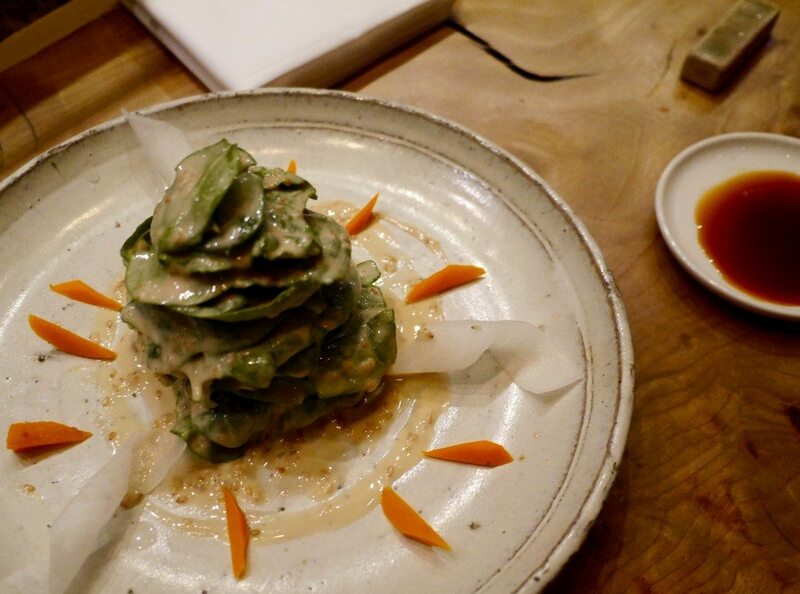 Still, I’m not knocking it (too much), and would definitely go back any day of the week… just not over Roka. 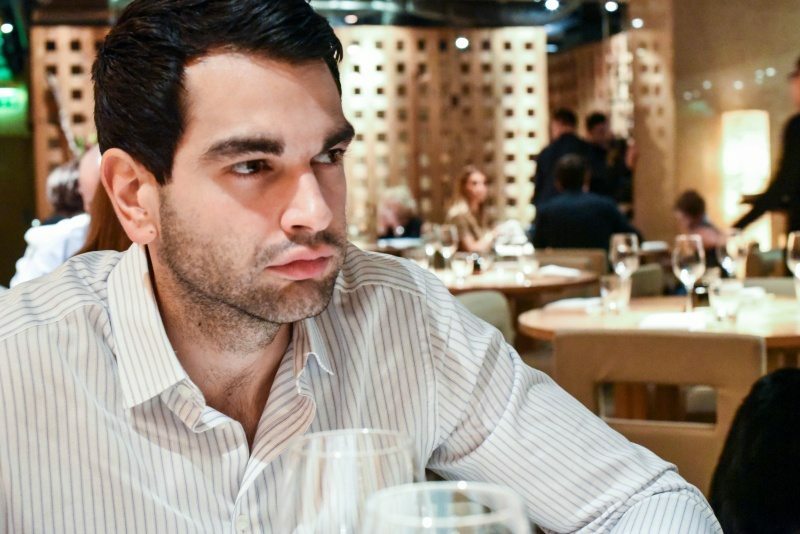 Always knew Roka was going to win out – I don’t think you’ll ever like a restaurant as much as you do Roka! 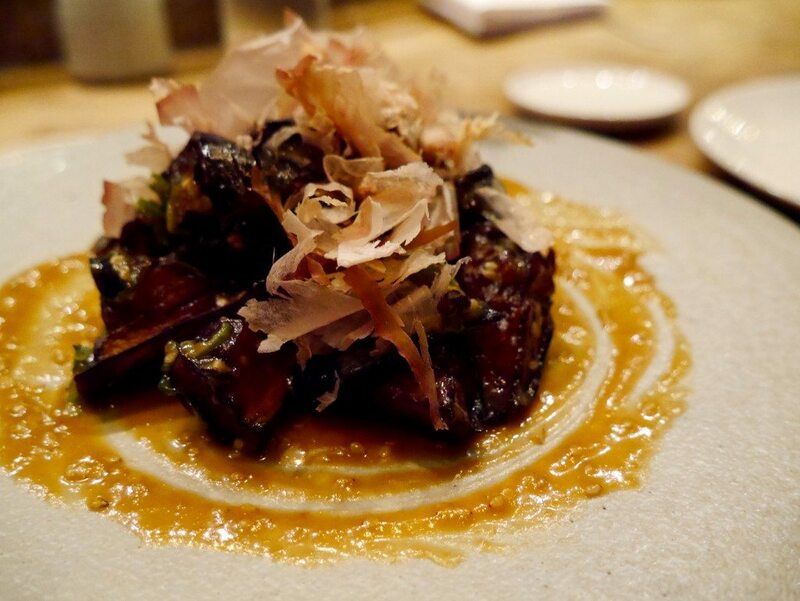 Looks like a lovely evening; some of the dishes sound incredible – especially those ribs! 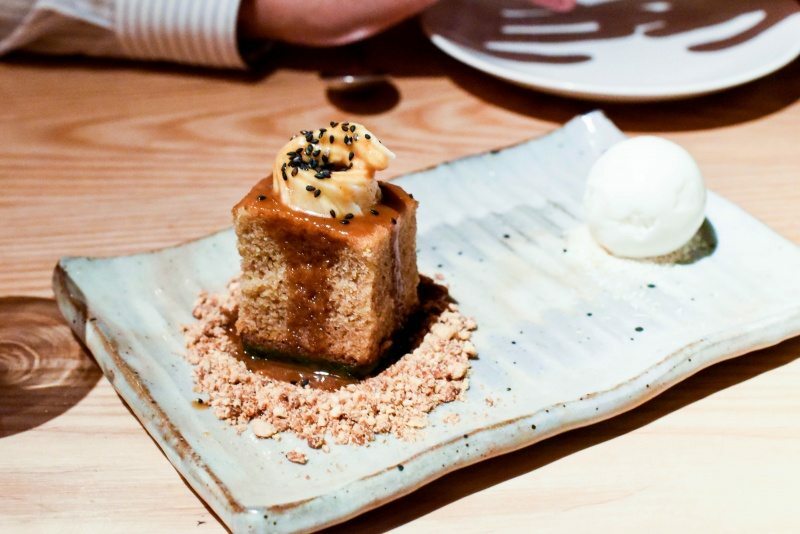 The beef sort ribs sound delicious, and those puddings look incredible too! Beef short ribs, chocolate fondant, banana cake, all making me incredibly hungry at my desk! 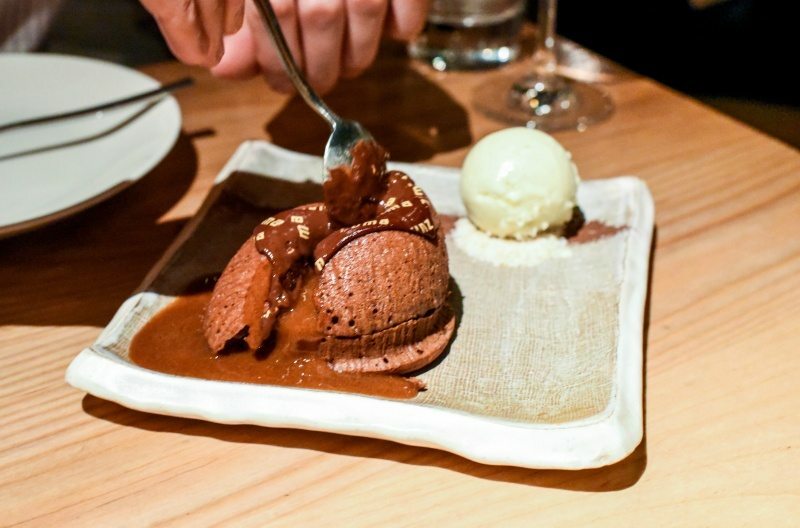 I used to like Zuma but haven’t been in years… defo because Roka seems more accessible and dependable!